I’m not, on the whole, a huge reader of YA literature. I have nothing against it. I’ve read Harry Potter and The Hunger Games. 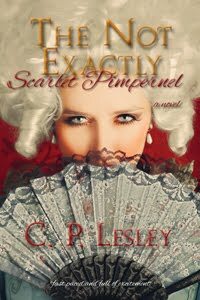 My Legends novels and even The Not Exactly Scarlet Pimpernel have their teenage fans, and I love that. It’s just that I came along at a time when YA didn’t exist as a separate genre. As a kid, I read everything I could lay my hands on: Georgette Heyer and Agatha Christie, The Scarlet Pimpernel and Exodus, Barbara Cartland and Mazo de la Roche and Sergeanne Golon, not to mention Ngaio Marsh and Dorothy Sayers. It never occurred to me that I should use anything other than my own interest to determine which books to consume. 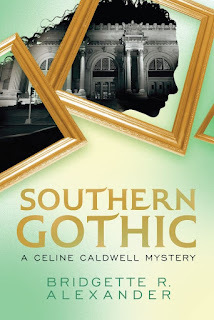 That said, I’m sure I would have loved Bridgette R. Alexander’s Southern Gothic, if it had existed to cross my path in those days. A voracious reader likes nothing better than a smart, lively opener to a brand-new series—and one about art history, at that. Celine Caldwell, a gifted sixteen-year-old, is heading to her internship at the Metropolitan Museum of Art in New York when a tattooed stranger accosts her on the museum steps in an attempt to blackmail her mother. Until then, Celine’s biggest problem has been balancing the demands of her divorced parents, both involved in new relationships, while keeping up with the classwork at her fancy prep school. But this threat against her mother, the Met’s curator, forces Celine into a difficult situation. Two paintings are missing from the museum’s latest exhibit, and the police seem determined to pin the theft on her mother, whose prickly personality and obsession with art do little to convince anyone of her innocence. Celine—with the assistance of her best friend, Baheera, and the local heartthrob, Sandy—undertakes her own investigation to prove her mom’s innocence. She soon discovers that there is more to the missing art work than daubs of paint on a canvas. 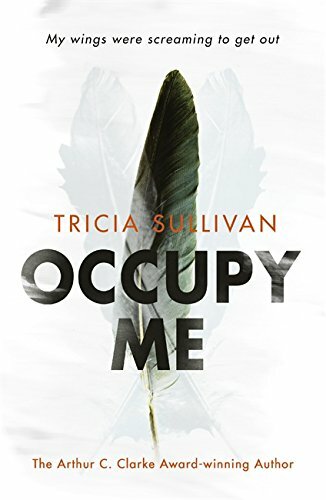 One of the many delights of this story is its racially mixed cast, which is presented without stereotypes and without emphasis but just, as it should be, as a natural part of life. Celine has her own website, as does her author. Take a look at one or both to find out more. And since the series is not yet well known, I am naming it a Hidden Gem. Disclosure: Bridgette Alexander’s publicist sent me a free copy of her book for an honest review, which I have posted on Amazon.com and on GoodReads as well as here. I removed The Golden Lynx temporarily from KDP Select, Amazon’s exclusive e-book publishing program, so that I could submit it for the Library Journal Indie e-Book Award and to the curated collections at Self-E, a program designed to make small press and self-published books available to libraries. Because that meant that the book would no longer be available for borrowing at Amazon, I lowered the price from $4.99 to $2.99. Alas, while reducing the price, I managed to re-enroll the book in KDP Select. But the admirable Amazon Customer Service representatives had that glitch fixed within 24 hours. As a result, I have returned The Golden Lynx to Barnes & Noble and the iTunes Store at the same price, at least for the moment. 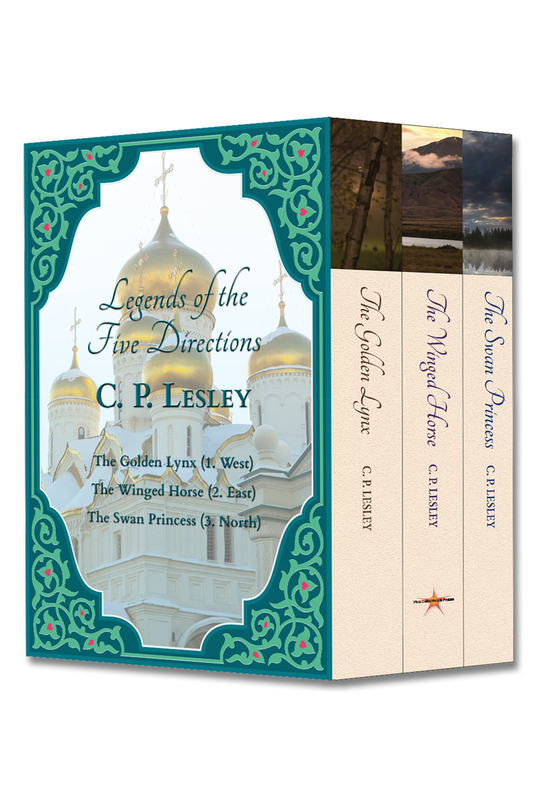 The prices for The Winged Horse and The Swan Princess also came down, to $3.99 each, although they are print and Kindle only. Also, if you love historical fiction, check out the Summer of History contest. Eighteen authors have banded together to give away a $100 gift card to Amazon, Barnes & Noble, or iTunes and one copy each of their novels—including several that Five Directions Press members have selected as Books We Loved. The drawing is on or shortly after August 1, 2016, so don’t miss your chance to sign up. Last week I wrote about “food for bookworms.” Well, this week the food is real, not virtual. What could be better than a novel with recipes, especially mouthwatering pastries and pies? 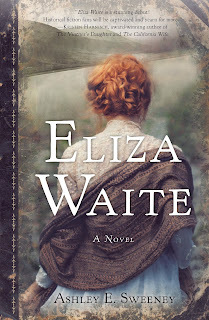 I can feel my waistline expanding just from reading about the gingerbread, fritters, and corn pudding that form the background to Eliza Waite, subject of my latest New Books in Historical Fiction interview. Now, don’t misunderstand me. 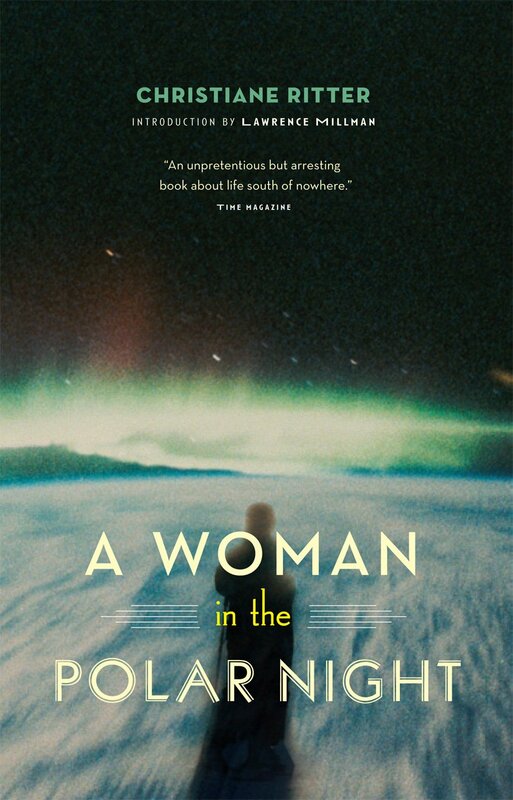 I chose to interview Ashley E. Sweeney about her debut novel because I liked the idea of a woman resourceful enough to live alone on an island in the Pacific Northwest, then travel north to Alaska in the heyday of the Klondike gold rush. It’s a great story, and the author tells it well. But I also love to cook. I once translated a medieval Russian guide to household management that has become a staple on the reenactment circuit, and I own more cookbooks than any reasonable person could hope to work her way through in a lifetime. I have to stash the less-used ones in the basement and the garage because the kitchen shelves are groaning under the weight. So I must admit the news that the book contained nineteenth-century recipes caught my attention as well. And what recipes they are—checked and adjusted for twenty-first-century kitchens by a dedicated team whom the author thanks by name, they retain the original phrasing but, unlike many older recipes, include measurements that a contemporary cook can understand. The recipe file in the back focuses on savories, including various soups, omelets and fried potatoes, Welsh rarebit and Egg (that is, French) Toast. In the book, Eliza often has to substitute. Eggs have become a scarce commodity since she had to eat her chickens, and only trips to the mainland in a rowboat keep her in flour, sugar, and saleratus (baking powder). But Eliza adjusts—and survives. In Alaska, she opens a bakery, and here the recipes really come into their own. (What, you thought she would chase after gold? Not our Eliza—she’s not so foolish. Besides, in Skagway, not far from Juneau, gold flakes drift down from the sky. No need to climb a sheer cliff twenty times with supplies and trek to the goldfields across miles of ice and snow.) Pecan tarts and apple pie and a sort of nineteenth-century trail mix that Eliza dubs miner’s snickerdoodles keep her busy from dawn to dusk. So whip up a batch of cinnamon buns or glazed doughnuts and settle in. You can listen to the interview at the same time. If you’re looking for me, you’ll find me in the kitchen. 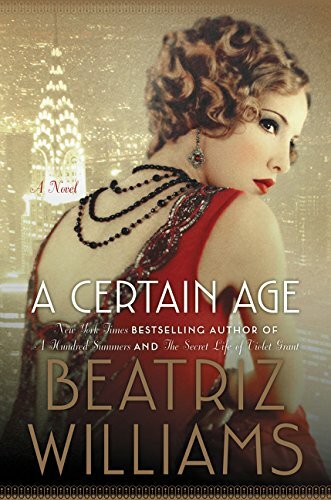 Meanwhile, the rest of this post comes from New Books in Historical Fiction. Cypress Island, September 1896: a tragedy has left a young widow, mourning her child, living alone in a cabin on this isolated spot near Bellingham Bay in the very new state of Washington. Once a month or so, Eliza Waite rows two hours each way to the general store on the mainland for supplies. Otherwise, she supports herself through hard work: chopping wood, maintaining a vegetable garden, fishing, cooking, doing laundry. Each day has a chore, and they repeat endlessly until a second crisis and a lucky find send Eliza northward on a boat to Alaska, where the Klondike gold rush is at its height. There the strands of her past interweave in ways she could not have anticipated. 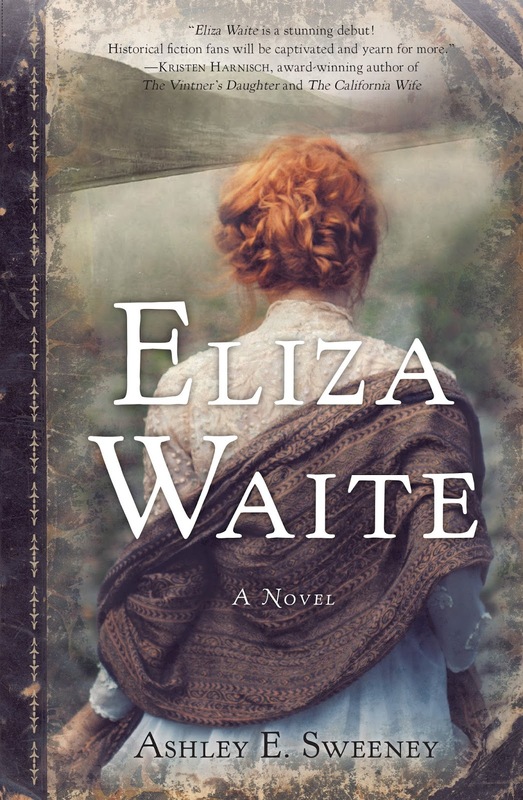 In Eliza Waite (She Writes Press, 2016), Ashley E. Sweeney creates a tough, resilient, likable heroine whose compelling story will draw you in and make you pull for her success. And if all this effort makes you hungry, have no fear: the book is filled with Eliza’s recipes, and a plate of gingerbread or miner’s snickerdoodles is never far away. Summer is the time for beach reads, winter for curling up with a good book before a roaring fire. For true bookworms, of course, time of year makes no difference: “spring, summer, winter, or fall,” as the song goes, a good story calls to us no matter when or where. When we at Five Directions Press named our quarterly newsletter Books Worth Reading, we had in mind primarily our own. Do, by all means, give some of ours a try. 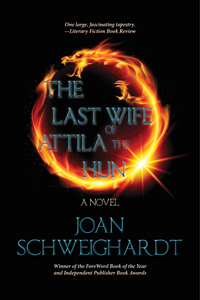 Joan Schweighardt’s The Last Wife of Attila the Hun—rescued from the now-defunct Booktrope Editions, reformatted, and reissued—became available again in print and for Kindle at the end of June. C. P. Lesley’s The Swan Princess, third of her Legends of the Five Directions, appeared in mid-April. And in less than three weeks we plan to release Gabrielle Mathieu’s debut historical fantasy novel, The Falcon Flies Alone. For more information on these and our other novels/memoirs, see our Books page. 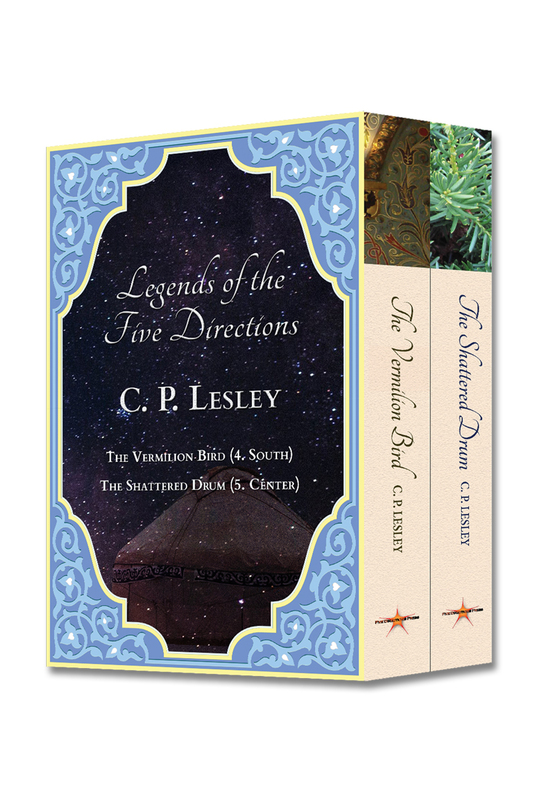 Those three should appeal to lovers of historical fiction and historical fantasy. Several contemporary novels, general fiction and romance, will appear through the fall and winter months and into next year. But the site also offers descriptions, excerpts (online and audio), reviews, awards, and previews for older books in our chosen genres: contemporary fiction, including romance; historical fiction, science fiction, and fantasy with and without romantic elements; and memoirs. Most of our books are aimed at women and girls 14 and up, but not all. And men like them as well. A quarterly newsletter leaves a lot of months uncovered, so at the beginning of this year we decided to fill in the blanks. To spare our subscribers’ in boxes, we post monthly to our blog a short list of books we loved. Some are indie-published, others commercial; most recent, some not. The only criterion for inclusion is that at least one member of our coop loved them. You can get a sense of the posts below and at Five Directions Press. There you can sign up for our newsletter, which includes interviews with authors, press news, and access to coloring pages associated with our books, drawn by the talented Ariadne Apostolou. You can also browse prior months’ posts and check back for new ones; usually they go up around the fifteenth of each month. The rest of this post echoes the blog. Initials indicate the 5DP author who loved the book. In my latest interview for New Books in Historical Fiction, I talk with Hana Samek Norton, author of The Sixth Surrender and The Serpent’s Crown. We are both historians by training and inclination, and we talk a lot about history and where historical fiction fits into what we might call the range of ways to approach history, in this case through entertainment. But our initial focus on facts and documents will not, I hope, obscure the reality that these are first and foremost great stories with fascinating and well-developed characters who move seamlessly in and out of the historical environment to which they have been assigned. And oh, yes, that cover is gorgeous. Guérin de Lasalle, former leader of a band of mercenaries, has quite mixed feelings about the marriage into which his service for Eleanor of Aquitaine has pitchforked him; and his doubts are more than matched by his educated, pious, and somewhat mousy wife, Juliana. At the beginning of The Serpent’s Crown, Guérin allows himself to be lured back to the Holy Land, leaving Juliana behind. But when her father-in-law forcibly removes her child from her custody, Juliana sets out in search of her husband, hoping he can help her reclaim their daughter. The rich emotional framework of these books utilizes the real and imagined history of the barons de Lusignan, descended—by their own account—from the half-serpent/half-woman Melusine. In a variant of the Cupid and Psyche (and, coincidentally, Swan Maiden) myth, Melusine’s husband fails to keep his promise to trust her, and she flees their home, returning only to wail for her children during every windy, stormy night. Her heirs establish a reputation for duplicity and valor, loyalty and rebellion, competence and scheming. The politics of France, England, Cyprus, Jerusalem, and Armenia are changed as a result. 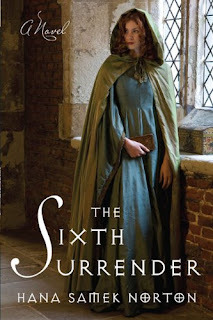 The rest of this post, as always, comes from New Books in Historical Fiction. In the aftermath of the Fourth Crusade, the grip of European knights on the Holy Land has begun to loosen. The Muslim forces under Saladin have won a major victory, and the crusaders have so far forgotten themselves as to besiege, then sack, the imperial Christian city of Constantinople—their nominal allies. In the confusion thus created, two warring clans—the Lusignans and the Ibelins—at times cooperate but more often compete for supremacy, spurred on by the marital and political maneuvering of Maria Komnene, queen of Jerusalem. The conflict expands to include Cyprus, Armenia, the Levant, and the Eastern Roman Empire as a whole. The plots and counterplots sweep up Juliana de Charnais, in distant Poitou. The legitimacy of her marriage is in question, a male relative captures her daughter, and her unsatisfactory husband has chosen to obey another relative’s summons to defend the Lusignan cause in the east. To reclaim her child, Juliana follows her husband. A former novice, Juliana seeks first and foremost to remain true to her conscience. But in a world where assassins lurk in every corner, just staying alive may prove enough of a challenge. 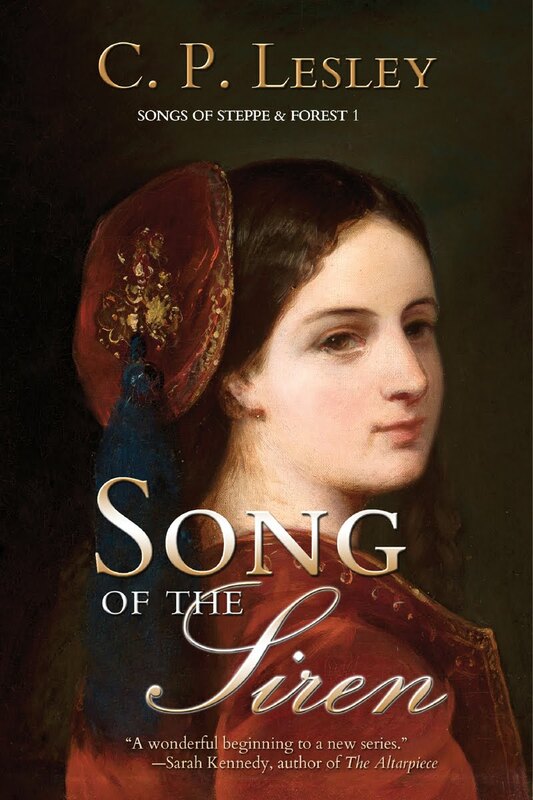 From central France to Nicosia and Jerusalem, Hana Samek Norton weaves a rich and fascinating tapestry of love, loss, loyalty, betrayal, and deceit. 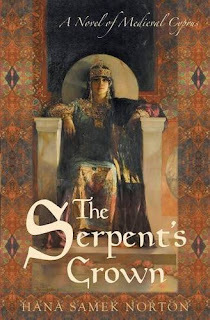 Fans of Dorothy Dunnett’s sweeping historical sagas should not miss The Sixth Surrender and its sequel, The Serpent’s Crown (Cuidono Press, 2015). It’s good to be popular. Interest in the New Books Network has grown to the point where I can barely keep up with the requests for podcast interviews and even blog posts. And know that I deeply appreciate that, since without guests willing to talk, an interview series soon dies. At the same time, there are only so many hours in the day. As a result, I’ve decided to start a new monthly feature on this blog: the Bookshelf. Whenever I can, I will read the books and post about them—even interview the authors. But at a minimum, I can list titles that appeal to me, even if they are not historical fiction or reach me at a time when the schedule is already full. What’s the story behind The Woman in the Photo? How did the book come to be? I first had the idea for this book 24 years ago! I’m not kidding. In 1992, my husband, actor Robert Hogan, was in an off-Broadway play called On the Bum, also starring Cynthia Nixon and Campbell Scott. The play was set in Johnstown, Pennsylvania, several years after the epic flood. The characters talked about a “lake in the sky” which piqued my curiosity. A few days later, I went to the library to read about such strange geography. That’s when I read the real story of the Johnstown disaster. Wow. I was blown away. What a great story! I held my breath for 24 years worrying that someone would write my book before I got a chance to. There are other books out there about the flood, but nothing like mine. How did you conduct your research for the book? Are any of the characters in the book inspired by real-life people? While on book tour in Pittsburgh for my first young adult novel, The Serious Kiss, I had a free afternoon. So, I rented a car and drove two hours to Johnstown to see it for myself. I could have stayed there for two weeks. There was so much of interest for this Californian girl. Over the years, I would visit twice more. Generously, the President of the Johnstown Heritage Association gave me a day-long tour of everything I needed to tell a compelling tale, including access to the inside of the private Clubhouse which is still standing! Aside from the very real members of the exclusive club: steel titans Andrew Carnegie and Henry Clay Frick, bankers like Andrew Mellon, U.S. Senator and Attorney General Philander Knox, all the characters are fiction. 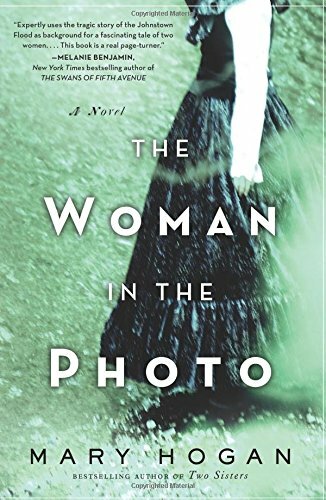 How was the writing experience for The Woman in the Photo different from your experience writing your previous novel, Two Sisters? Two Sisters was a process of opening up my heart and spilling its contents onto the page. Inspired by the early death of my older sister, I told a tale of family secrets that I knew all too well. 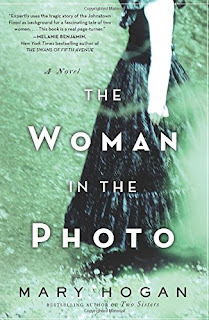 Writing The Woman in the Photo was a completely different experience. First, I read a gazillion historical novels. Then, I read every book I could find about Johnstown. I even read a novel called Annie Kilburn that was written in 1889 to get a feel for the language of the day. Research, research, research. I was told that women who read historical fiction are fiends about accurate detail. So, my biggest fear about creating a main character who was an upper-class woman of the nineteenth century was getting her many corsets right. Both The Woman in the Photo and Two Sisters center around female relationships. Why do you think readers are so fascinated by the bonds between female family members? Is there a particular message you hope readers will take away from The Woman in the Photo? 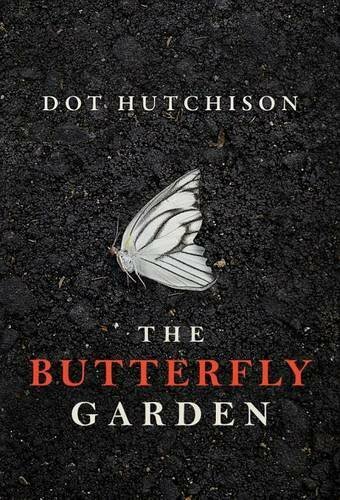 One of the themes of this novel is: Is DNA your destiny? Are you born to be who you are? Or, can life itself mold you? I would love for readers to finish The Woman in the Photo with the sense that we are all on this earth to be kind to one another. To live together. Even on bad hair days. 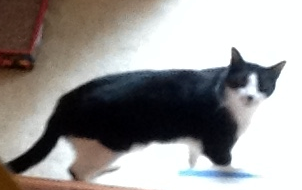 Thanks for joining me—and stay tuned for future lists of books worth watching.